Jump into your racing suit and get ready to protect your mobile phone with the Ford GT class at nearly 400KM/H. Ford GT Glossy Hard Case Red, Complete set with screen protector iPhone 5/5S. Jump into your racing suit and get ready to protect your mobile phone with the Ford GT class at nearly 400KM/H. 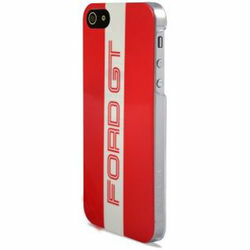 Ford GT Glossy Hard Case Red, Complete set with screen protector iPhone 5/5S.